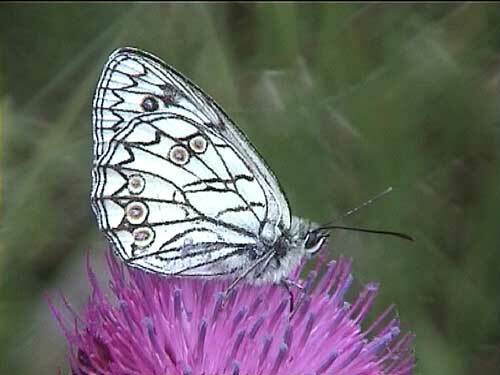 A very finely marked marbled white, it is scarce in south western Italy. 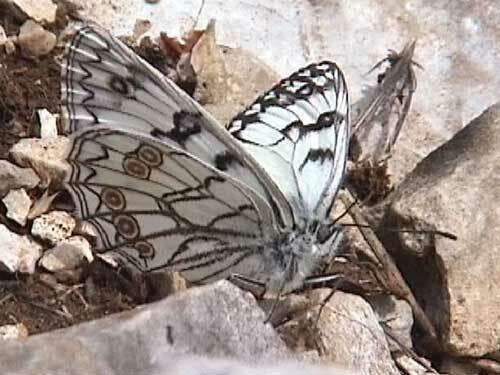 I've only ever found a single colony on a very steep limestone hillside. 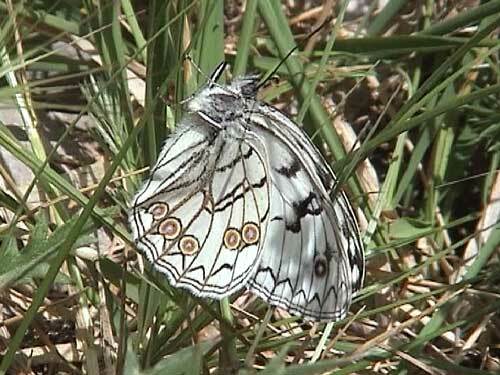 The dozen or so butterflies we found were sailing up and down this steep slope. It was far too steep to climb so we had to wait for the butterflies to venture to ground level where we could hope to photograph them. 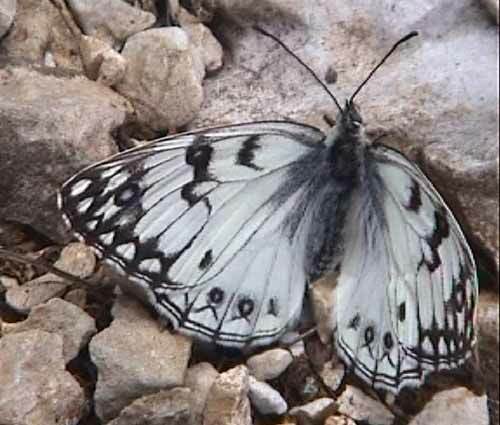 Identification & Similar species: All black markings are fine, the upperside is the whitest of the marbled whites. Distribution & Flight: SW Italy mainly south of Rome, northeast Sicily and the "heal" of Italy. Single brooded in May and June. Habitat & Behaviour: Hot dry stony grass slopes.